Is it a major challenge to find leads, nurture them and convert them into customers? 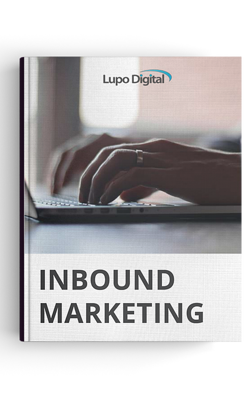 Inbound is a methodology connecting ALL of your digital sales, marketing and customer service activities and tactics to grow your business with more of the right traffic and leads, produce and retain more customers and increase ROI. The inbound methodology is composed of three stages (that also happen to represent a customer's journey) namely : attract, engage (convert and close) and delight. Inbound is about adding value at every stage of the customers journey. From a business perspective, the methodology represents the growth of a business and inbound businesses use the methodology to build trust, credibility, and momentum. Inbound can shape your creative focus to ensure you create quality content and exceptional customer experiences that pull customers towards your organisation and marketing channels by aligning their interests. Image reference: HubSpot Inc. Using the above mentioned Inbound Methodology in Marketing is known as Inbound Marketing. It is important to understand that Inbound applies in a digital sense. In a digital-first wold, traditional or 'old-school' marketing (4 P's, PR, letter-box, print, phone) has become ineffective, it's expensive and a thing of the past, you could say obsolete. For modern marketers (and modern salesman), control has shifted from the business or brand directly to the customer. Outbound marketing no longer fits into a data-guided wold. For over a decade, Inbound methodology has been combined with emerging modern Marketing techniques, tools and tactics to become a proven and scientific technique regaining control for marketers and catching customers for sales. Modern marketing techniques, tools and tactics include websites, social media, email marketing, content strategy, ppc, seo, video, blogging, crm, lead flows, conversational bots, marketing automation, smart and dynamic content, attribution reporting...the list goes on. Modern marketing and inbound (Inbound Marketing) mould upon some strategic and fundamental elements behind their success namely: deep understand of the target ideal customer or buyer persona, their customer buyer journey and a precise content strategy to present the business solution in the moment they need it most. The inbound methodology in Marketing is exceptionally effective because it centralises all the elements required to attract new prospects (traffic) to the business, engage (nurture) them personally, yet at scale, and delight them individually. Image reference: HubSpot Inc.
Let's explore how the inbound methodology works to solve business challenges for the buyers journey, within a marketing strategy. The right Content is fuel that empowers a successful marketing (and growth) strategy. It is the message, the secret sauce from which your inbound marketing strategy produces traffic, leads and customers. 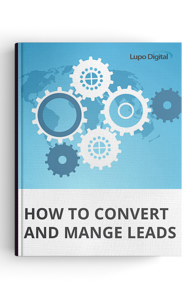 Learn how to manage leads and convert them into customers with our advanced lead management guide. You want the right traffic to come to your website. But, how do you get them there? You attract more of the right customers with relevant content at the right time — when they’re looking for it. This way you'll attract people most likely to become leads and, ultimately, happy customers. Using a website, various marketing channels, tools, tactics and an inbound content marketing strategy to build your authority (seo) in search you'll rank for the topics that matter the most to your prospects. Using social media tools, you publish blog posts or video content across social networks and create ads to increase awareness of your brand with your target audience. Throughout each stage, you’ll need to be reporting and analysing these efforts to stay informed on what’s working and where you need to improve. Using conversations marketing tactics, you create lasting relationships with prospects in the channels they prefer — through email, bots, live chat, or messaging apps. As prospects visit your site, you capture their information using conversion tools — CTAs, forms, and lead flows (pop-ups). Then you need to collate and use all the prospect and customer information in a CRM system to personalise the website experience using smart content and the entire buyer’s journey using email and workflows. Create brand loyalty by targeting specific audiences (based on ideal buyer personas) with your social content or ads. You may need to consider form a range of from hundreds of connect integrations to add additional tools and features to fit your business’ and websites unique needs. Use email and marketing automation as well as conversational marketing to deliver the right information to the right person at the right time, every time. You will need to align all the marketing efforts, tactics and insights with your sales and service team members to create contextual conversations with the people you do business with and to better convert more leads into customer . Create memorable content your prospects will want to share with their friends and family by using a variety of content formats — like video and automations, emails and socials media, special offers and incentives — that your prospects prefer. Now you're doing inbound marketing! Brining Inbound Sales, Marketing and Services All Together. Based on the insights derived from their inbound marketing machines, Inbound Sales is the result of sales teams who leverage all the data, advances systems, tools and tactics available and enabling them to fill and grow their pipelines and engage with people who are ready to have a sales conversation. And, they can do this much quicker and more efficiently than ever before and, most importantly, by providing the ultimate customer experience when solving customers problems this way. Inbound Sales rely upon a robust CRM system and the open-ness of all sales and marketing resources to welcome in the formal function and process of Sales Alignment. Together, Sales Alignment and Sales Enablement (when implemented effectively) see the Sales function leads to sales growth that usually surpass all targets, superseding expectations. Once Marketing and Sales have done their jobs and customers enter the business, qualified service professionals take over to ensure the business delivers its' promise to every customer. Traditionally, customer services took place via a range of fairly limited and silo'd channels for exmaple; call centres and by phone, email, messaging, referring to a website knowledge bases articles, FAQ's and more recently live chat and even message bots. In the traditional framework, Customers are moved in all sorts of directions and very often are totally frustrated especially if each silo start the customer enquiry (service) and process all over again because data and response capability are not aligned, centralised nor visible to one another. Inbound Services operating upon the Inbound Methodology remove the silos by leverage Inbound technology, tools, centralised data and processes to turn customers into promoters and, exceptional Service into growth. Inbound Services makes truly happier customers stay longer and grow businesses faster. Inbound Marketing is a methodology first conceived and endorsed by HubSpot (growth and automation technology), and now globally adopted. The methodology is one of the key ingredients built into the fabric of an inbound growth strategy and powering those thriving and successful business who have implement it. If inbound marketing does it's job, then leads have arrived into your company CRM system with all their historical activities and engagement nicely recorded and accessible. This sees the inbound methodology shift to Sales. Here we see the power of the inbound methodology providing a sales team with advances digital insight, tools and capabilities never seen by any generation before us. Need Help With Your Inbound Marketing Or Growth Strategy?